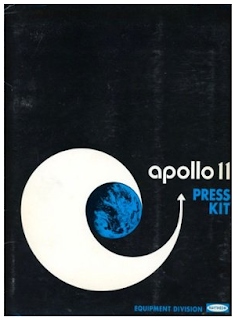 In addition to the thousands of scientists and engineers behind the Apollo missions to land a manned mission on the Moon and return them safely, there was also a concerted marketing effort not only to supplement the astronauts and enhance the mission but also out of self-interest and garnering interest for their brand. The always amazing Kottke directs our attention to an incredible curated archive of press kits and presentations put together by NASA contractors that made the journey possible and also strove to keep the crew well stocked with pens, cameras, meals in quarantine after splashdown, watches, etc. Much more to explore at the links above.